In a world dominated by disruptive industries and suddenly accustomed to the ease of shopping and shipping online, businesses looking to move products must pay closer attention than ever to the tricks of the trade or risk being left behind. This is particularly true in the B2B realm, where there is traditionally less focus for instance on marketing. For such businesses, recognizing target audiences, understanding limitations in technology and then capitalizing on shipping industry trends is critically important. Part of the challenge is that many of the B2B ecommerce trends are just now emerging — and they are sure to evolve given the frenzied pace of technology. 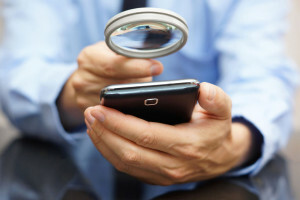 Two keys for businesses to bypass pitfalls are ensuring the searchability of products is both adequate and up to date and that they offer mobile contact. Surveys increasingly show that an enhanced online search function, even though it is usually associated with B2C businesses, is in demand and effective. For businesses that pair this online search tool with online product ratings and reviews, transactions are likely to see a sharp increase. After all, you want buyers to find information quickly, select products and place orders. Second, establishing mobile contact for the selection of B2B products is crucial. It just makes sense given that two-thirds of all emails today are opened on a mobile device. Mobile users operating in the B2B ecommerce world should be able to easily navigate from the search stage all the way to checkout anywhere, anytime. If your business has ignored these features, it’s a good place to start. Investing some resources in both should pay dividends down the line. And when it comes to custom labeling for your product don’t forget our talented team at Grand Rapids Label will find a solution for you!